Andrew Hinkes, Esq. is Of Counsel at Berger Singerman LLP and represents leading companies and entrepreneurs in state and federal commercial litigation matters. Drew concentrates his practice on contract litigation, representation of court-appointed fiduciaries, business torts, trade secrets litigation, and electronic discovery issues. This is a guest post by Drew Hinkes, an attorney at Berger Singerman. 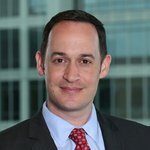 Drew is also frequently published and cited for his work on IT and technology-related issues, including virtual currencies, smart contracts, distributed ledger-based technologies, computer data security/breaches, and technology regulation. The court ruled that Japanese law allows only for proprietorship of “tangible entities that occupy space and which allow for exclusive control over them.” Since transactions of bitcoin require the involvement of a third party, exclusive control over bitcoins was not possible. Although the ruling seems dangerously misguided, it will likely be relegated to its own specific facts and not govern future disputes over bitcoin ownership. Taking the court’s conclusions about bitcoin at face value could create problematic results. Many assets, including stocks and bonds, transact through third parties. Most large-value transfers occur through the SWIFT network, which itself reduces value to intangible digital information. Many intangible assets such as trademarks, franchises, patents, consumer goodwill and contract rights are recognized as legally protectable assets worldwide. The logic of the recent ruling could potentially disturb long-understood concepts of property law, and drastically alter the legal status of many payment methods. The court’s conclusion seems confused, or based on an improper understanding of bitcoin. Use of bitcoin requires only an Internet connection. Thus, it requires less intermediate infrastructure to use than a credit card. The court also appears to have misunderstood “ownership” of bitcoin. Although bitcoin itself may exist as intangible computer code, ownership and control of the private key providing access to a specific wallet functionally establishes exclusive ownership of whatever value is represented by the bitcoin held by that wallet. The court’s conclusions appear to be the result of an improper understanding of bitcoin. However, as discussed below, the facts here are critical, and probably rescue this decision from having a long-term negative impact, or more widespread application. Japan has a code-based legal system that differs from America’s common law legal system because courts in code-based legal systems generally cannot act in the absence of a specific applicable law. Prior decisions carry much less weight and generally do not bind judges determining future controversies. In Japan, judges consider precedent to fill gaps or clarify the meaning of statutes, but precedent is generally non-binding. Thus, if a similar claim was brought before a different district judge in Japan, that judge may not be compelled to rule the same way on the same issue. Both systems provide the right to appeal decisions to a higher court. If this opinion is appealed in a timely manner, the higher court will reconsider the arguments and evidence submitted to the district court. Thus the outcome of this case, may be changed. Although the court’s conclusion seems wrong, it likely ruled to uphold the bankruptcy receiver’s power to control the disposition of Mt. Gox’s assets and avoid the need to untangle commingled assets. Former Mt. Gox customers who claim they lost bitcoin can assert claims for recovery through the claims administration and investigation process set up by the Japanese bankruptcy receiver. The claims process, which closed on May 29, 2015, may result in claimants from Mt. Gox’s remaining assets. The lawsuit could be viewed as a collateral attack or “end around” of the claims process, seeking to obtain a better result than would be available by submitting a claim. This sort of gambit is not available in the United States because debtors in bankruptcy liquidating assets through Chapter 7 of the United States Bankruptcy Code are protected by an automatic stay of litigation pursuant to 11 U.S.C. §362. This stay shuts down litigation against the bankrupt entity and establishes the bankruptcy (generally) as the exclusive means for claimants to recover against the debtor. Japanese bankruptcy law, however, does not provide the same stay unless it is requested by the debtor. The court’s ruling may have been intended to prevent an “end around” to the bankruptcy liquidation claims system. Even if the lawsuit was not an attack on the bankruptcy claims process, the court may have dismissed it to avoid tracing and separating commingled bitcoin assets. Recent news from a self-professed insider suggests that Mt. Gox operated a single bank account. Other reports suggest that client wallets previously held on the site were commingled. The claim brought in district court may have required the bankruptcy receiver to attempt to identify specific coins among its commingled assets, which may be burdensome or impossible. The litigant’s request for the return of specific bitcoin, as opposed to cash, may have provided a second reason to deny the claim. It is likely that this opinion will be limited to its facts. This was a claim alleging entitlement to bitcoin held by a third party in bankruptcy where specific identifiable assets sought by the claim may not have ever existed, and where relief was available through a bankruptcy claims process. The very specific facts of this case may render the ruling not applicable to future claims regarding bitcoin. Further, another lawsuit regarding bitcoin in Japan is unlikely to present the same facts. Finally, as noted by the Japanese Times, the presiding judge may have felt constrained because bitcoin is not directly addressed by any existing Japanese law. This suggests that the decision may have been a request to the National Diet of Japan to “fix” this opinion by creating law directly addressing virtual currencies. It remains to be seen whether this opinion will create valid precedent, or later be fixed through legislation. Although the headline is sensational, there are reasons to suspect that the opinion issued by Judge Kurachi may be limited to this specific lawsuit. Based on the structure of Japan’s legal system, the precedential value of the decision is limited, so that judges are not bound to the argument when deciding future disputes over ownership of bitcoin. Future cases could easily distinguish this case on its unique facts. Finally, because there is no specific law related to virtual currencies in Japan, the precedential value of this ruling may be mooted by future legislation.